Calm and comfort your dry, itchy skin. 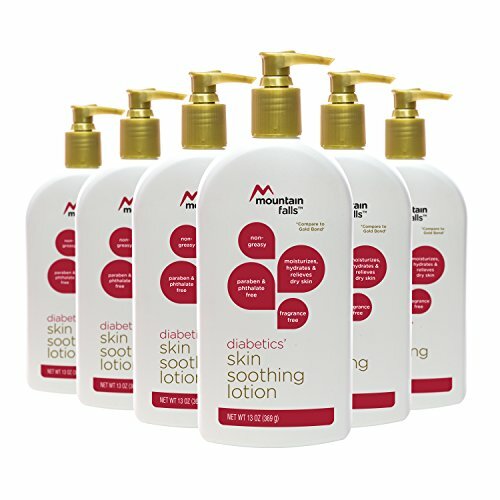 Mountain Falls Diabetics' Skin Soothing Lotion is dermatologist tested to hydrate and relieve problem dry skin. Because it's hypoallergenic and completely free of fragrance, Parabens and Phthalates, you can rest assured that your skin will feel soothed and replenished.